I’ve been a plumber for almost 15 years working with several companies in the Tri-State Area. One of my lifelong dreams was to start my own plumbing business in the Henderson, KY area. Over the past 15 years, I’ve had the opportunity to work in a variety of plumbing disciplines including residential, commercial, and even in the industrial sector. I have provided plumbing services for a range of things from small jobs like fixing a leaky faucet to overseeing the entire plumbing of a large hotel. I received my journeymen license #12694 in 1997, while I was working for Superior Plumbing in Hopkinsville, KY. In 1999, I moved to Gary’s Plumbing Service in Evansville, IN, and spent most of my time there focusing on the Henderson, KY area. While at Gary’s, I completed my Master Plumbing License #7150. During 2008 & 2009, I worked for Hydromax/Roto-Rooter in Chandler, IN, where I focused on the service industry and new construction in the commercial and industrial sector. In 2009, I moved closer to fulfilling one of my dreams by purchasing a plumbing business with a partner in Madisonville, KY, called Carter Plumbing & Heating. Although Carter has been a successful business, it did not completely fulfill my goal of starting my own plumbing business. 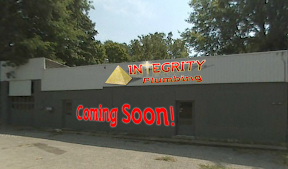 In late 2011, I enthusiastically seized an opportunity to start Integrity Plumbing LLC to serve the community that I live in and love.